I spent the days after Christmas up until New Year’s Day in France. 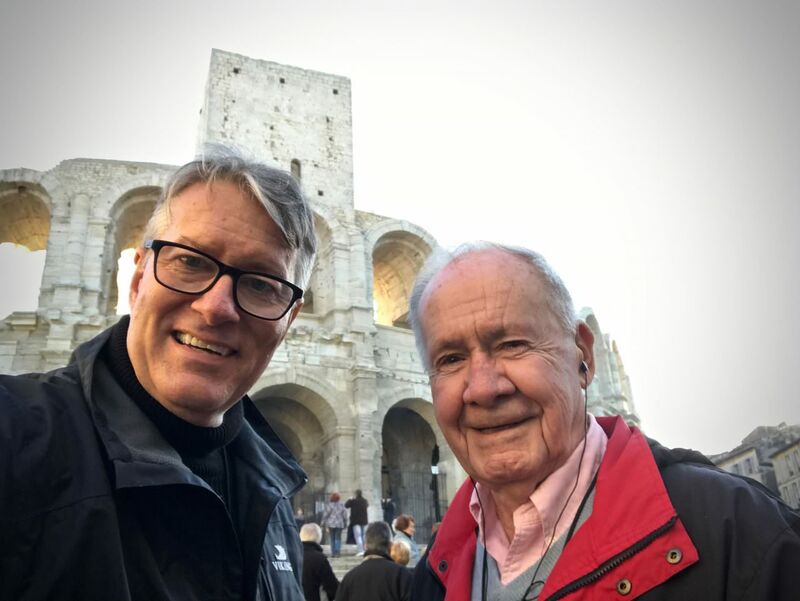 Part of my time was spent in Paris, where I visited a friend before heading off to Lyon to spend time with another friend, Lou Le Jacq, nearly three decades ahead of me at 87, an affable and energetic traveling companion who I had met a couple of years earlier on the Loire. 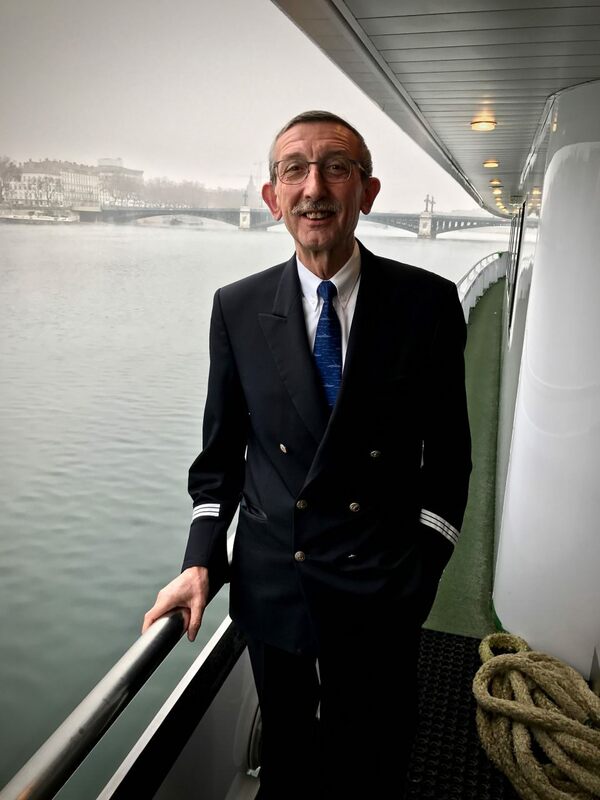 Lou made a successful career in publishing medical journals and has the means to cruise on any river cruise ship he wants, but partly because of his French heritage, he prefers Strasbourg-based CroisiEurope. He told me that he appreciates the French flair along with the cuisine, which is, as might be expected, decidedly French. 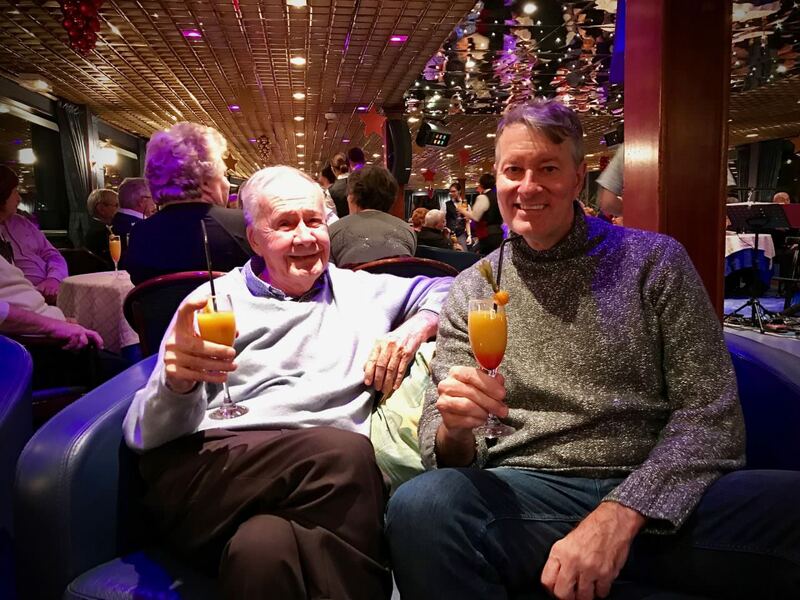 Over the years, I’ve come to appreciate CroisiEurope as well for the many reasons that I have written about frequently on this site. 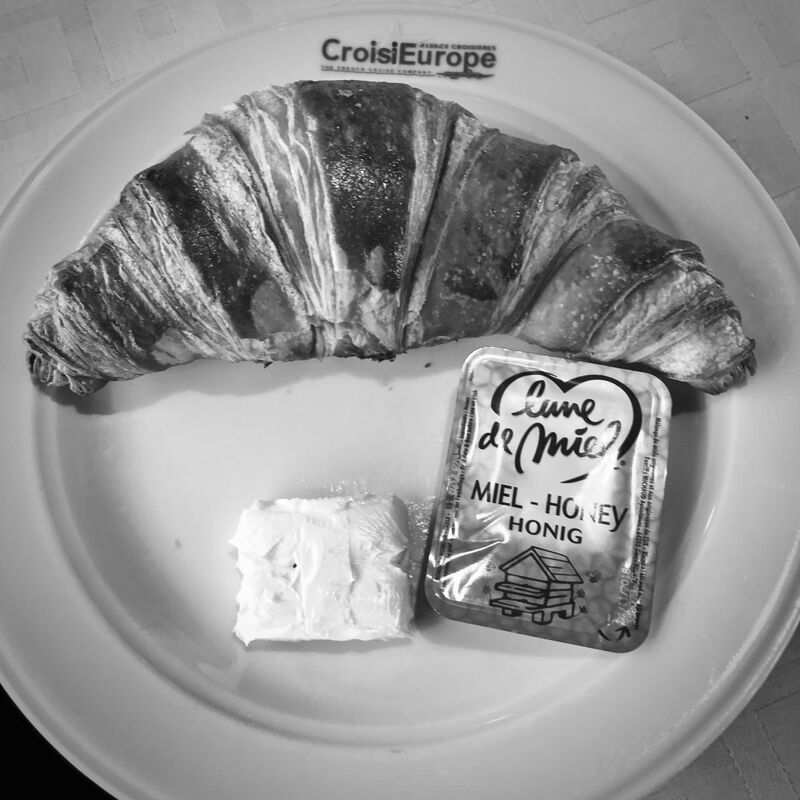 Unlike many river cruise companies, the only buffet offered on CroisiEurope is at breakfast. Lunch and dinner are served as fixed, sit-down affairs, with typically three-to-four-course menus offering French favorites. That said, don’t think you’re stuck with only one choice. 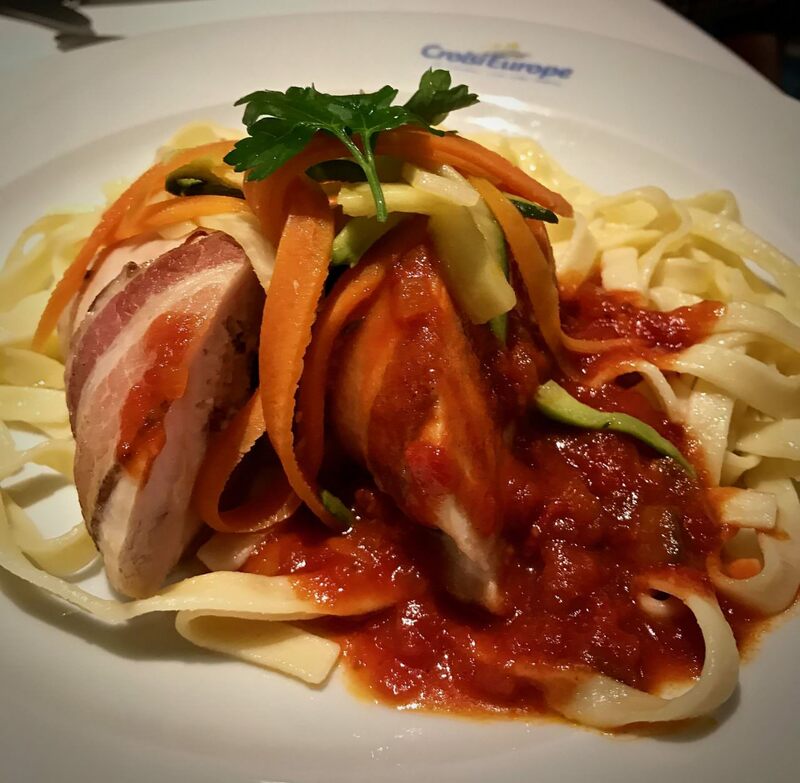 Anyone cruising CroisiEurope should know that they can preview the menus the day before and order something else should they not like what’s being offered. Lou and I never strayed from the menu, on this trip or the last one. Plate after plate, they were all delicious. And why shouldn’t they be? 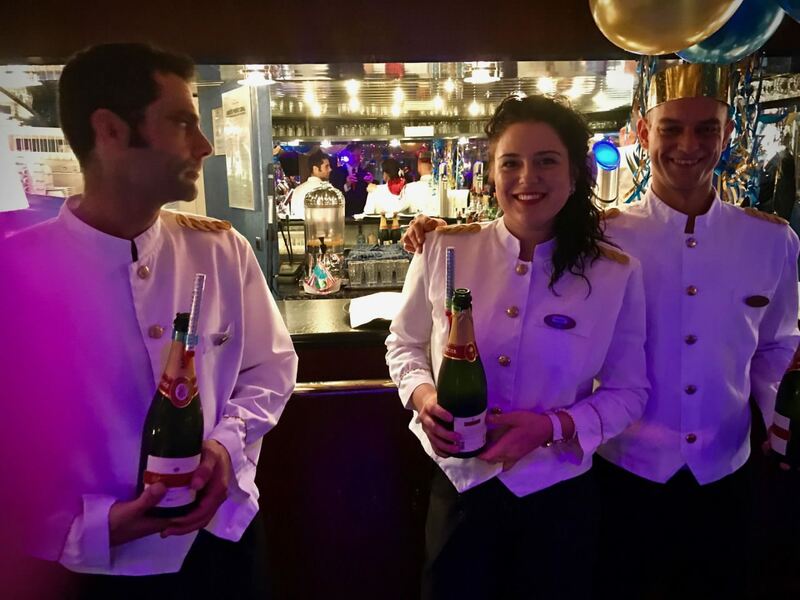 CroisiEurope’s chefs have worked alongside such Michelin-starred greats as Paul Bocuse and Marc Haeberlin. The company’s head chef, Alain Bohn, was recently nominated as a member of the Maîtres Cuisiniers de France. This esteemed French association, created 50 years ago, includes only 250 chefs worldwide. 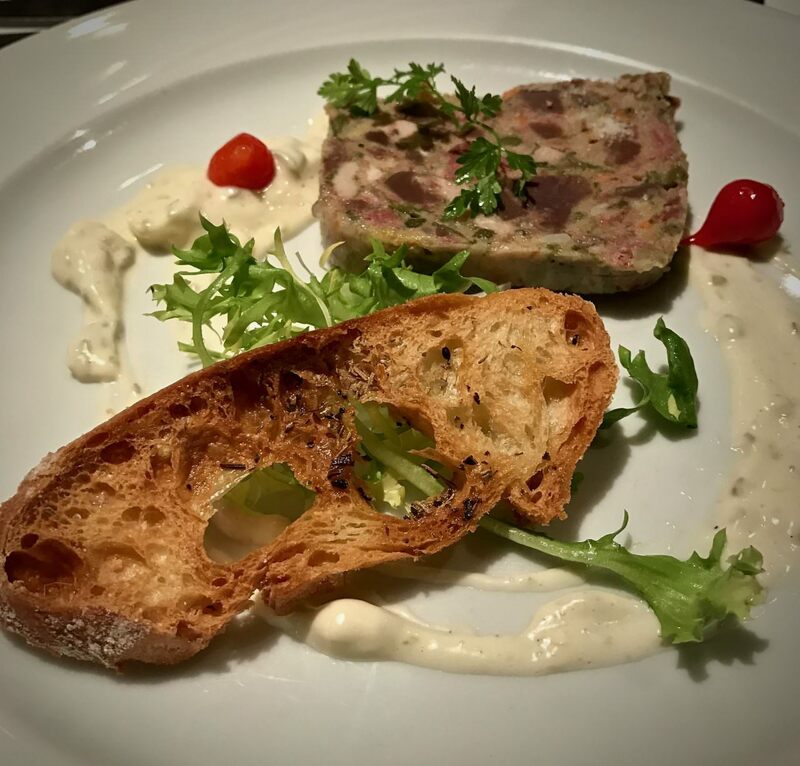 So while you might not have the menu selection that you’ll find on other river cruisers, rest assured that you’re going to have something that approaches gourmet French cuisine along with the ability to order something not on the menu. 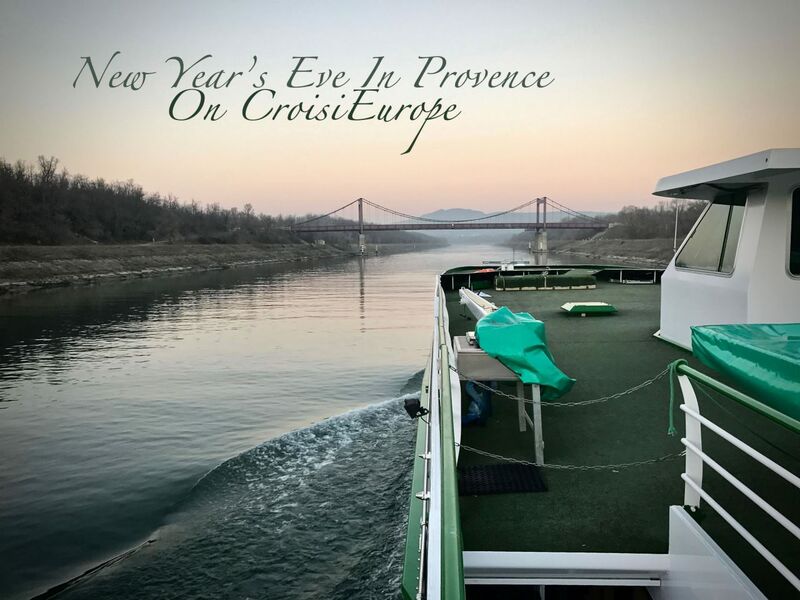 As I’ve said before, CroisiEurope’s all-inclusive cruises impress me with their French flair, inventive itineraries and innovative ships, including paddlewheelers that can operate on the Elbe and Loire. Just last week, the company announced a second paddlewheeler to operate on the Elbe. 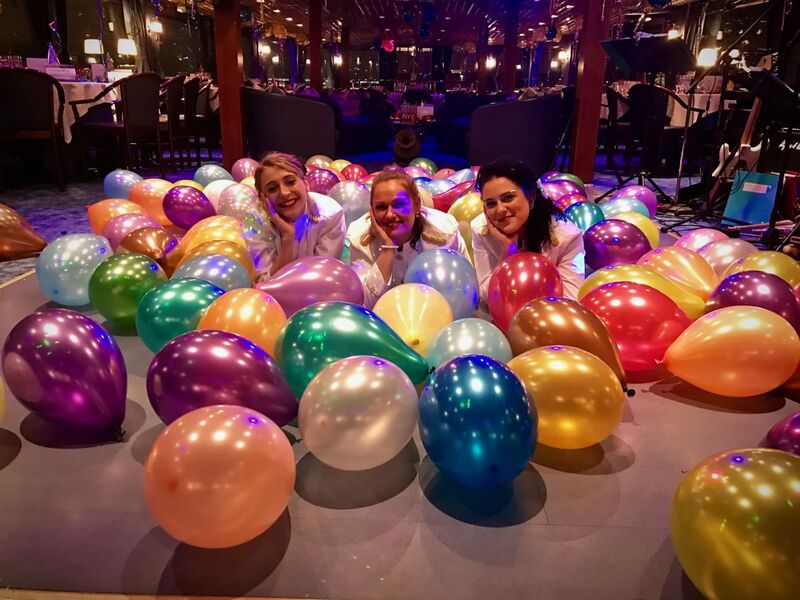 The paddlewheelers boast a draft of less than 3 feet, which makes it possible for CroisiEurope to be the only river cruise company that can reach the heart of Prague. CroisiEurope also serves up one of the best values in river cruising. But as I have written before, CroisiEurope is not for everyone. 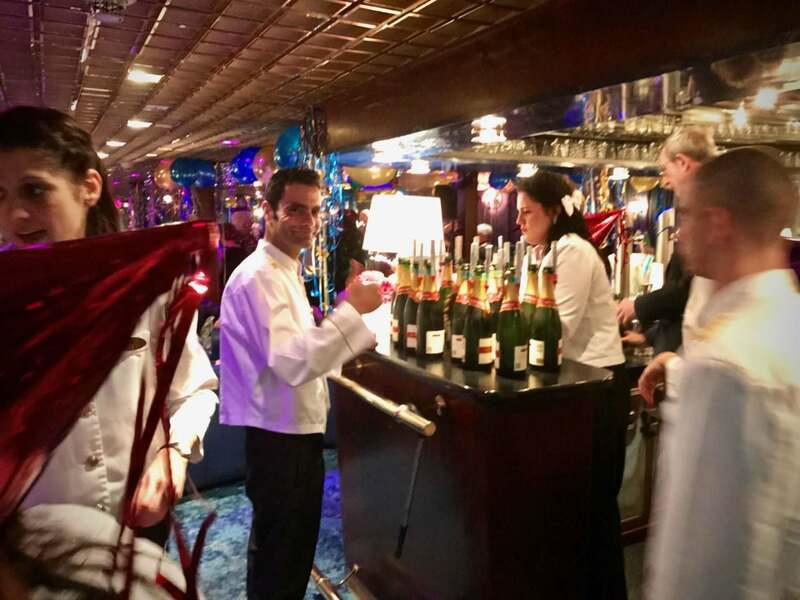 See my story: Is CroisiEurope Right For You? 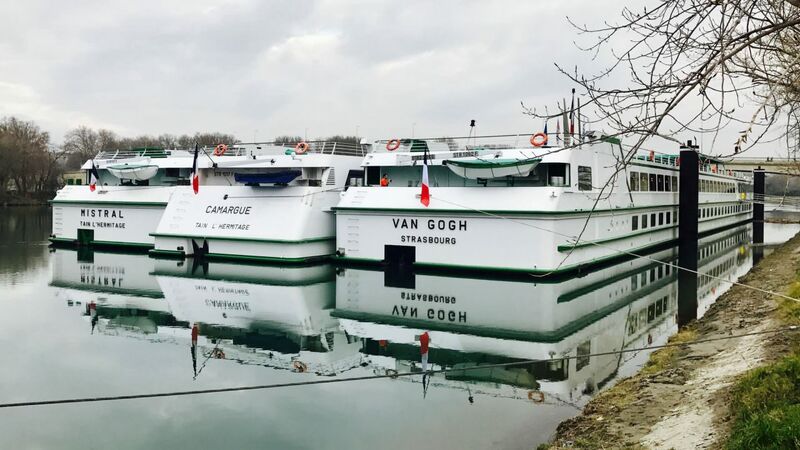 How Does CroisiEurope Handle English-Speakers When There Are Only Two? I was curious to see how CroisiEurope performed on a cruise that wasn’t designated as an English-speaking only cruise. After leaving Gare du Lyon in Paris, I arrived two hours later in Lyon by TGV. 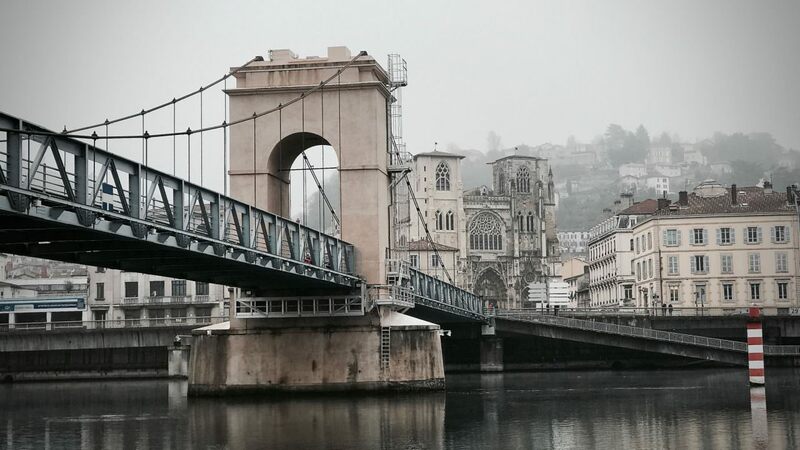 Steps from the station, I hopped on a tram, and made my way to the Rhône river, where I wheeled my luggage for about five minutes to reach CroisiEurope’s Mistral. 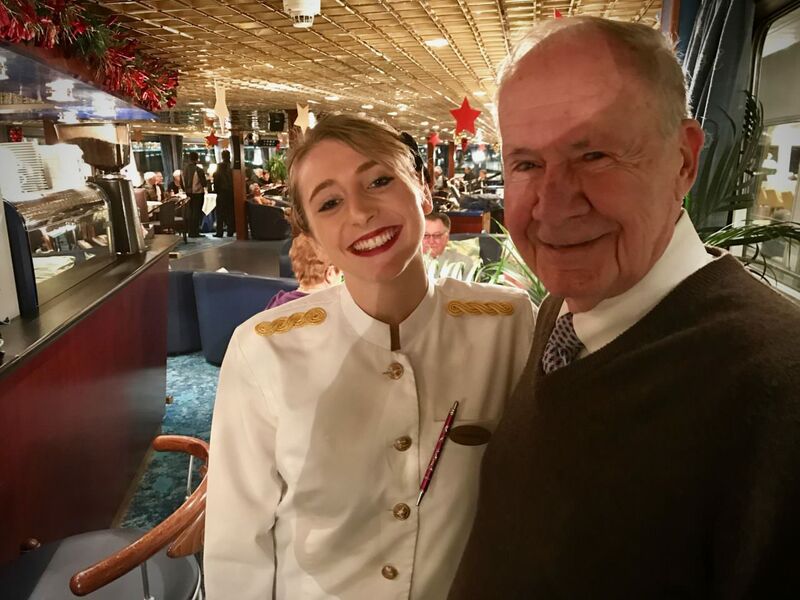 In the familiar surroundings (I’ve been on at least half a dozen CroisiEurope ships), I discovered that we were an “international group” of French, Germans, a few Spaniards and two Americans. 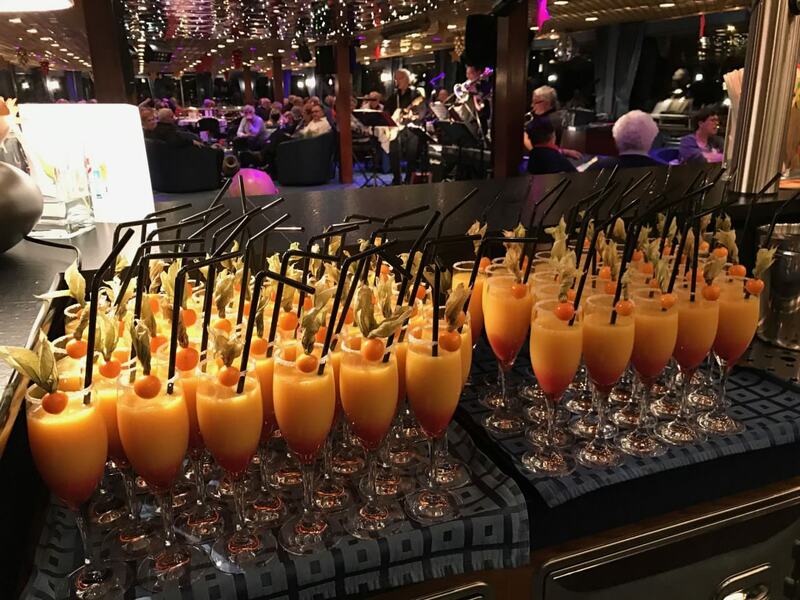 Right from the start, CroisiEurope got it right. As the orientation program was presented in the lounge in French and German, a delightful Hungarian named Monika translated in English to the two Americans and the Spaniards. 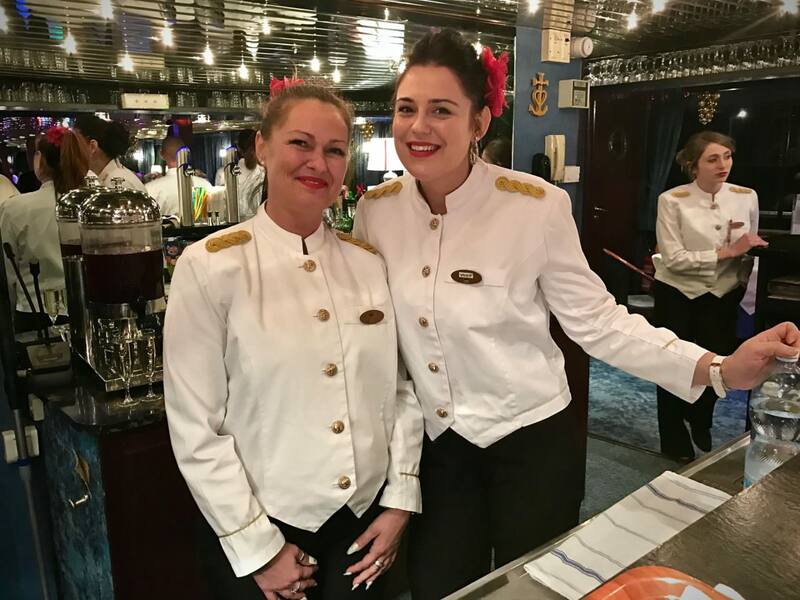 All throughout the trip, we received programs and menus in English (as noted, the next-days’ menus are distributed to staterooms each evening so that you can request changes should you desire). Monika translated to us during every event and was there to answer every question. One thing to note is that the staff comes from throughout Europe. They’re not all French, so the staff even uses English to communicate with one another. We met staff members from Hungary, Romania, Portugal, and of course, France. So as others have told me via email and comments on this site, CroisiEurope handles the English component extremely well. We board our floating hotel around 3 pm in Lyon. 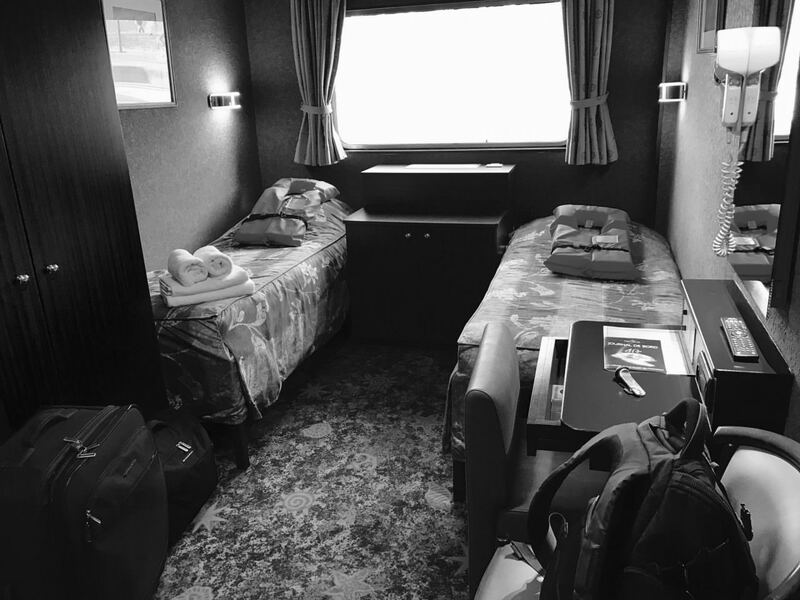 We set sail around 4 pm to Arles as we settle into our cabins. 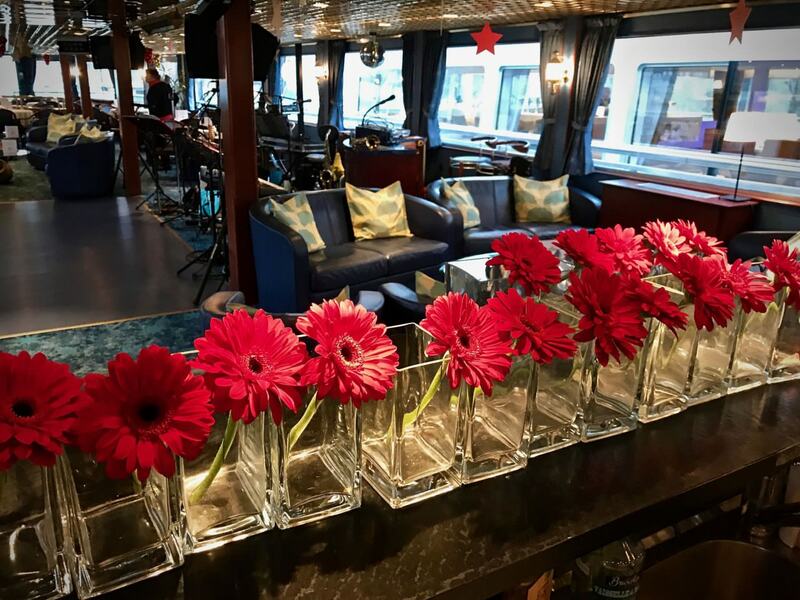 We have a welcome cocktail in the lounge bar and are introduced to the crew before dinner and an evening of entertainment on board. 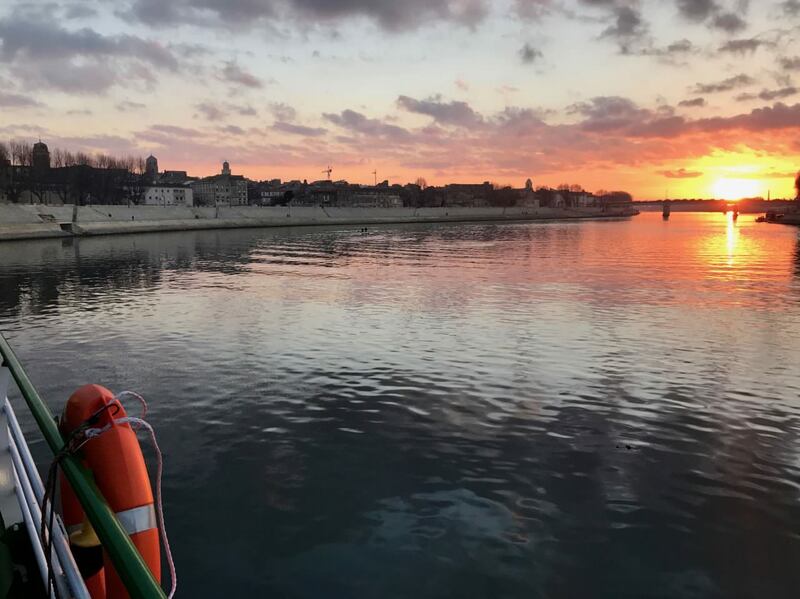 We continue our cruise towards Arles through the night. 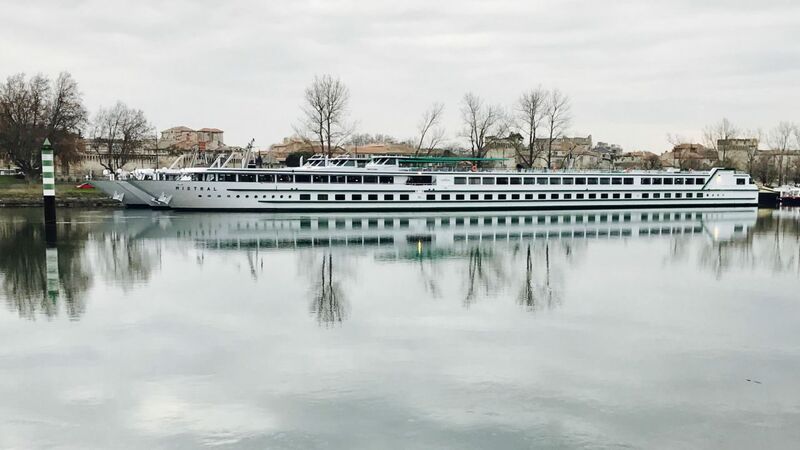 We have breakfast on board and a relaxing morning afloat as we cruise gently through the picturesque landscapes of southern France, passing first Valence, dominated by the Saint Apollinaire Cathedral and then Montelimar, famous the world over for its nougat. After lunch on board we arrive in Arles around 1 pm and set off for our optional guided visit of the town. 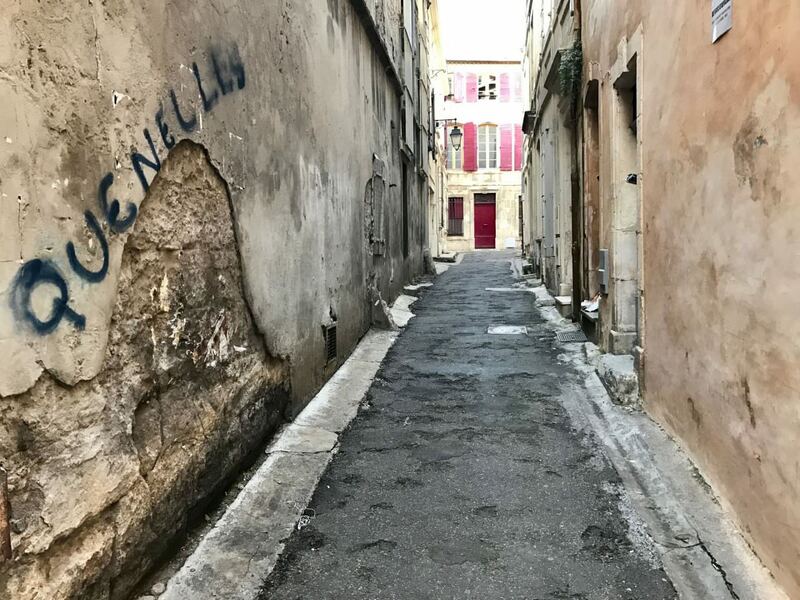 With many of its ancient buildings still remaining clearly visible today, the city has been justifiably classified as a “Ville d’Art et d’Histoire” in France and its Roman and Romanesque monuments have been listed by UNESCO as World Heritage Sites since 1981. We return on board for dinner and moor for the night. 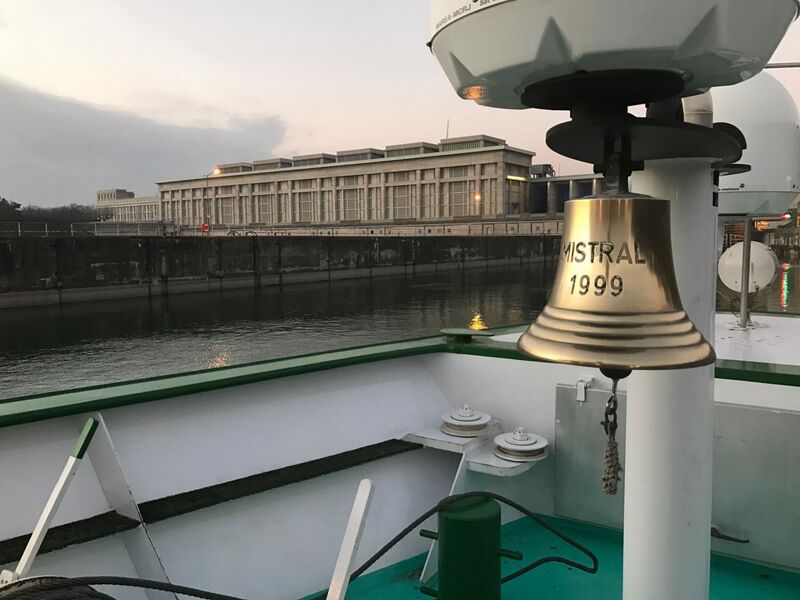 We set off early this morning and have breakfast on board as we cruise, arriving in Avignon around 8 am. Our optional visit this morning is to Avignon and the “palais des Papes”. 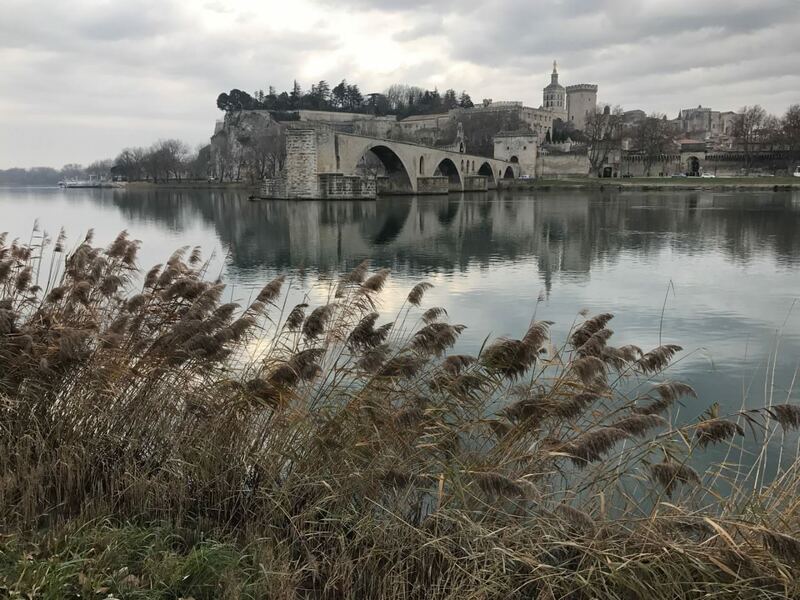 So wonderful is Avignon’s architectural heritage that the old town centre was listed by UNESCO as a World Heritage Site. 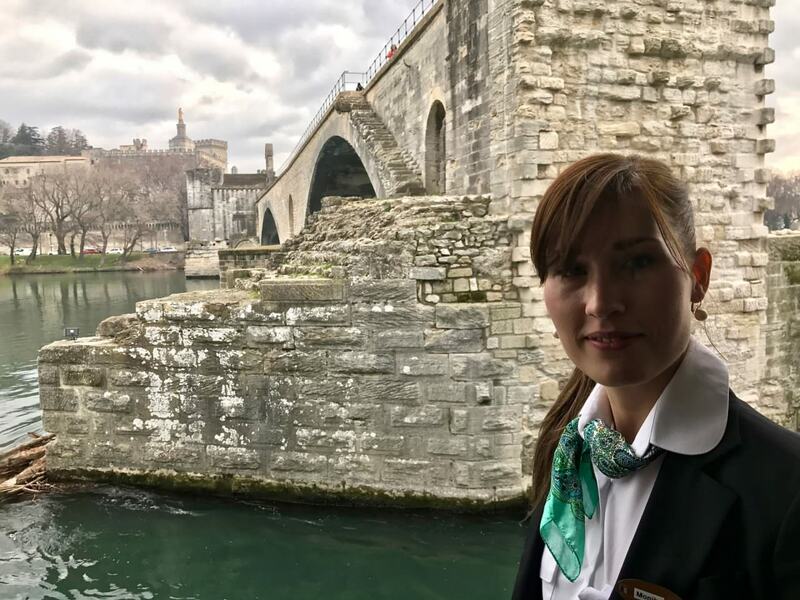 Exceptional monuments include the Saint Bénézet Bridge (the famous “Pont d’Avignon”), the city Ramparts, the petit palais, the cathedral and the impressive walls of the “palais des Papes” flanked by four great towers. The palace itself is testimony to Avignon’s prestigious past as capital of Christianity in the Middle Ages. 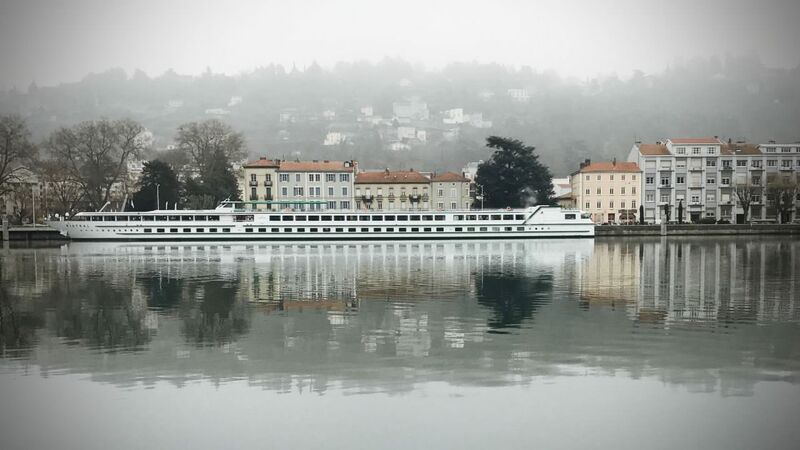 We return on board for lunch and spend the afternoon cruising towards Vienne. 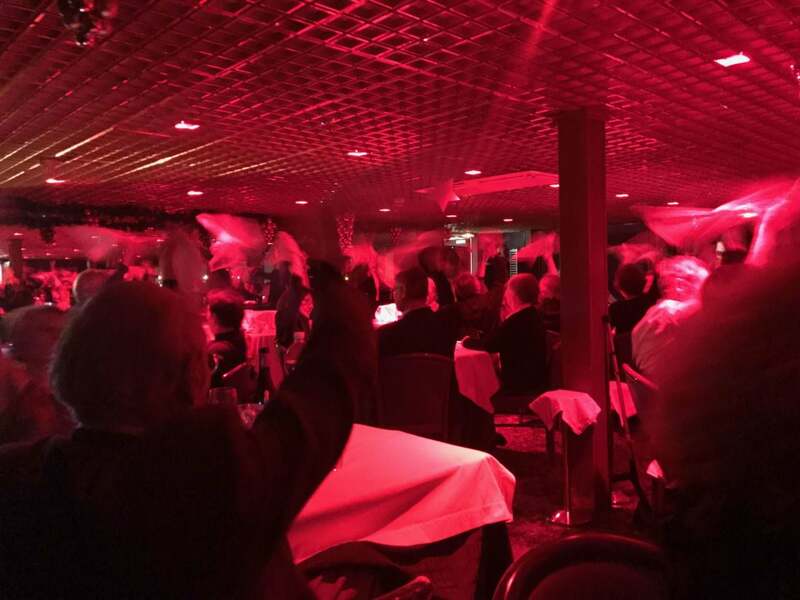 We have a gala dinner on board tonight followed by an evening of dancing. We arrive in Vienne first thing this morning as we have breakfast on board. We set off for our optional visit of the Roman city of Vienne. Here we visit the temple to Augustus and Livia, built in Corinthian style at the end of the 1st century BC and converted into a church, which has remained virtually intact, the Roman Theatre from the 1st century AD and the Gothic former cathedral of Saint Maurice. We return on board for lunch and continue our cruise to Lyon, where we arrive around 2 pm. Here we have an optional visit of Lyon. The town has preserved an important architectural heritage from the time of the Romans, through the Renaissance right to the 20th century, and for this reason is listed as a World Heritage Site by UNESCO. 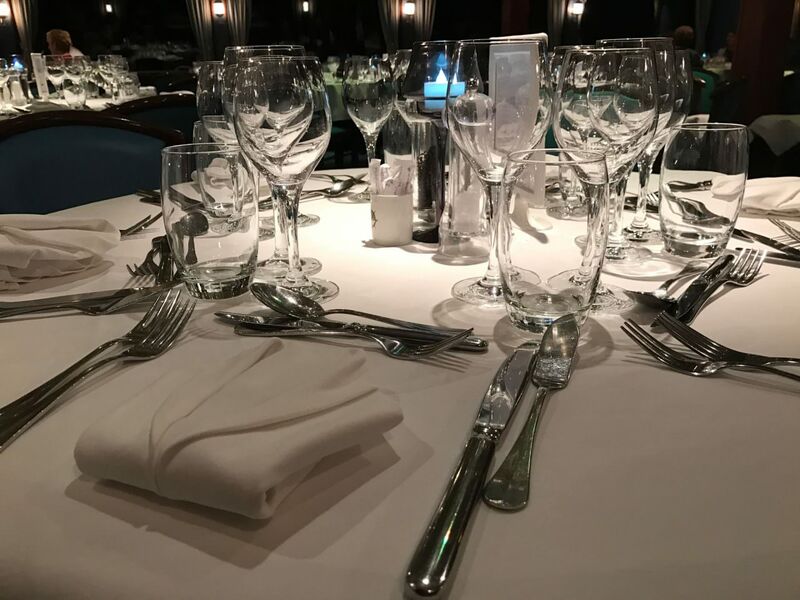 This evening, we have our final dinner of the year in our on-board restaurant. 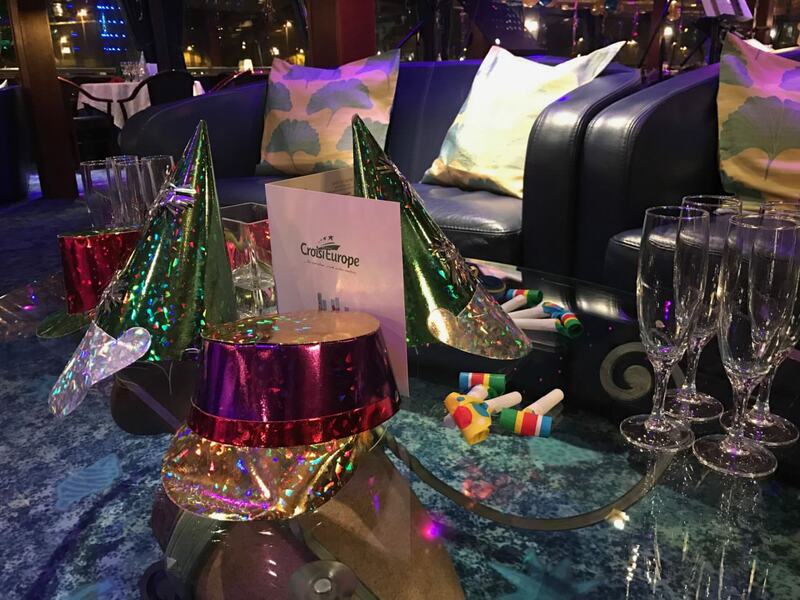 The special New Year’s Eve dinner is followed by a great evening of celebration and dancing which will undoubtedly last until dawn. 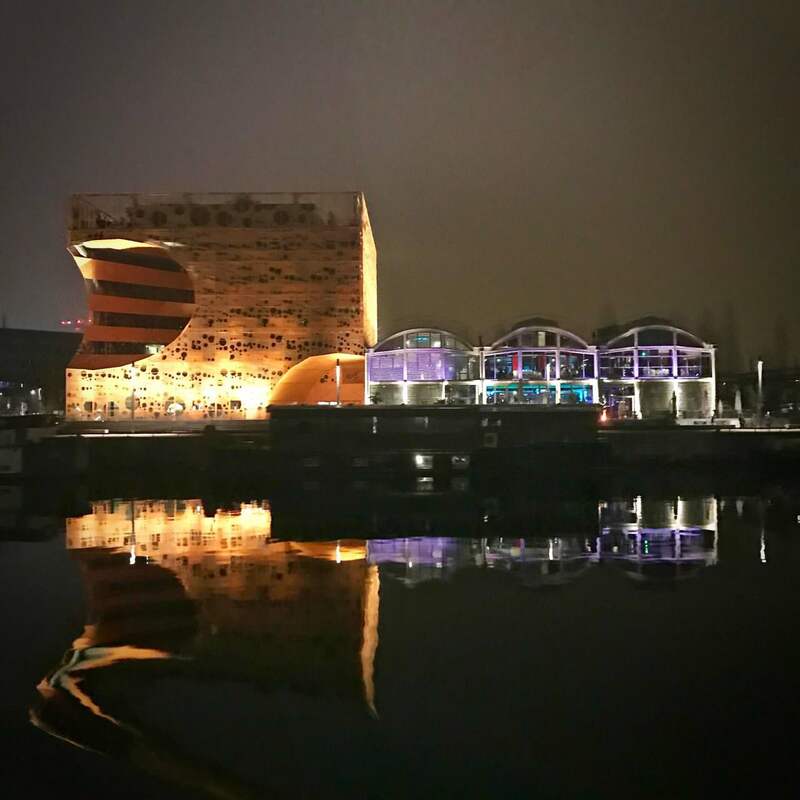 We are treated to a magical view of Lyon by night as we cruise past Lyon’s illuminated old quarters, which look wonderful seen from the river. We moor for the night. We have breakfast on board before disembarkation around 11 am. End of our journey. Ralph, your pictures are wonderful. I am looking forward to CroisiEurope this July. Red is the traditional Christmas colour all over the world. Other colours were introduced later. Thanks, it definitely isn’t in the US; white is the preferred color.